According to the National Highway Traffic Safety Administration, the nation’s highways are safer than in years past. Assuming you’re in a car, that is. Apparently if you’re driving a truck or walking, somehow the trend is going in the wrong direction. Dec. 8 (Bloomberg) — The number of people killed on U.S. highways fell for the fifth consecutive year in 2010, marking the longest streak of declines since records began in 1899. Fatalities dropped 2.9 percent to 32,885, the lowest since 1949, the Washington-based National Highway Traffic Safety Administration said today in an e-mailed statement. Deaths of motorcyclists, pedestrians and large-truck occupants increased. A Los Angeles Times article quotes the NHTSA as calling this number “the lowest fatality rate ever recorded, with 1.10 deaths per 100 million vehicle miles traveled in 2010”. Since my focus is obviously on aviation, I’m curious about how this compares with the fatal accident rate for general aviation. The FAA’s most recent statistics cover the period through September 30th of this year and show a current rate of 1.16 deaths per 100,000 hours flown. In order to make an equivalent comparison, we have to convert miles driven to hours driven. No one knows how many hours Americans spend on the highway each year, but we can ballpark it if we can come up with an average speed for the nation’s automobiles. For a conversion factor, I looked at data from the Insurance Institute for Highway Safety and the NHTSA’s Highway Safety Desk Book. No clear national highway speed average emerged, but there were several studies which showed that highway speed limits are frequently exceeded. No surprise there, right? In 2007 the Institute monitored travel speeds on interstates in 8 metropolitan areas (Albuquerque, Atlanta, Boston, Denver, Los Angeles, Omaha, Tampa and Washington, DC). On urban interstates, the average speed of passenger vehicles exceeded the limits in all 8 metro areas. On suburban and rural interstates, average speeds were faster than the limits in half of the metro areas. The proportion of passenger vehicles exceeding 70 mph on urban interstates ranged from 1 percent in Denver and Tampa to 38 percent in Albuquerque, while the percentage exceeding 75 mph on suburban and rural interstates ranged from 6 percent in Los Angeles to 49 percent in Tampa. The same study examined segments of rural interstates located 30-50 miles outside 3 of the metro areas (Washington, DC, Atlanta, and Los Angeles). Outside Washington, where limits are 70 mph, 19 percent of passenger vehicles were logged exceeding 70 mph, and 3 percent surpassed 75 mph. Speeds were much faster on the Los Angeles intercity segment, where 86 percent of passenger vehicles surpassed the 70 mph limit and 35 percent traveled faster than 80 mph. If we assume an average highway speed of 65 mph, an automobile fatality rate of 1.1 per 100 million miles comes out to one death every 1.4 million hours. The GA equivalent is 16.24 fatalities per 1.4 million hours. In other words, the fatal accident rate for general aviation (defined as all aviation except for airlines and the military) is 16.24 times worse than that for the nation’s highways. Of course, if my estimate of the average speed of a car on the highway is wrong, the ratio would change accordingly. Lower highway speeds would give cars a better comparative safety record per hour driven. Likewise, if cars average higher speeds, general aviation looks more favorable. 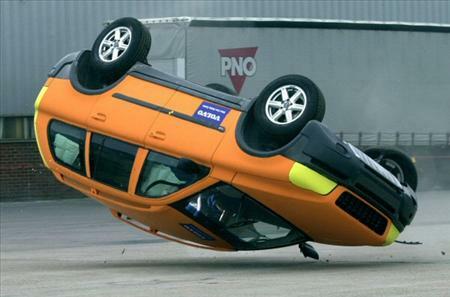 Any way you slice it, it seems you’re safer in a car than you are in the air, unless you’re flying the airlines. Their safety record is so good that in some years you couldn’t even perform a comparison with automobiles because the Part 121 airlines had no fatalities whatsoever. For a more detailed look at how various GA segments stack up safety-wise, take a look at the Air Safety Institute’s annual Nall Report. I love this publication because it breaks down the numbers based on a variety of factors including phase of flight, commercial vs. non-commercial, fixed-wing vs. helicopter, mechanical vs. pilot error, etc. 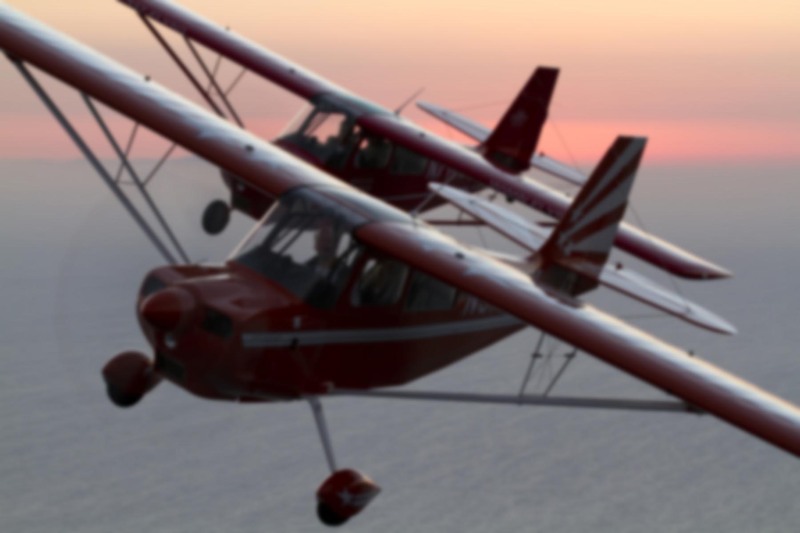 If you’re a GA passenger looking for tips on how to judge the relative risk of a particular flight, I wrote about some things to consider (see “Is Flying Safe?“) when flying general aviation. I said it before and I’ll say it again, the one thing airplanes and cars have in common is that accidents due to mechanical failure are extremely rare. Crashes, especially fatal ones, are almost always caused by errors of judgement by the operator. Driving while intoxicated. Scud running at night. Aggressive or distracted driving. Deplaning a passenger with the engine running. You get the picture. So while nobody’s perfect, you’d do well to consider your opinion of the person you’re traveling with before zooming off into the sunset. It’s difficult to quantify solely with numbers, but it’ll improve your odds dramatically regardless of the conveyance. How about converting hours to miles? 100,000 flying hours at, say, 200 MPH, would give 5.5 deaths per 100 million miles flown, right? That is certainly another way to do it. It might be a bit hard to pin down the average speed of the GA fleet given the disparity between piston singles, turbojets, turboprops, and so on. Even the “hard” numbers we do have are only estimates, because the FAA estimates hours flown based on fuel sales. I assume the NHTSA does the same for miles driven.